We’ve seen very little of Christopher Nolan (Prestige, Inception) since the dramatic conclusion to the Dark Knight trilogy in 2012. While he tinkered behind the scenes on Man of Steel and Transcendence, he will be finally returning to the directing chair later this year with Interstellar. After months of anticipation, inconclusive teasers and posters, we’ve finally been treated to a full trailer. 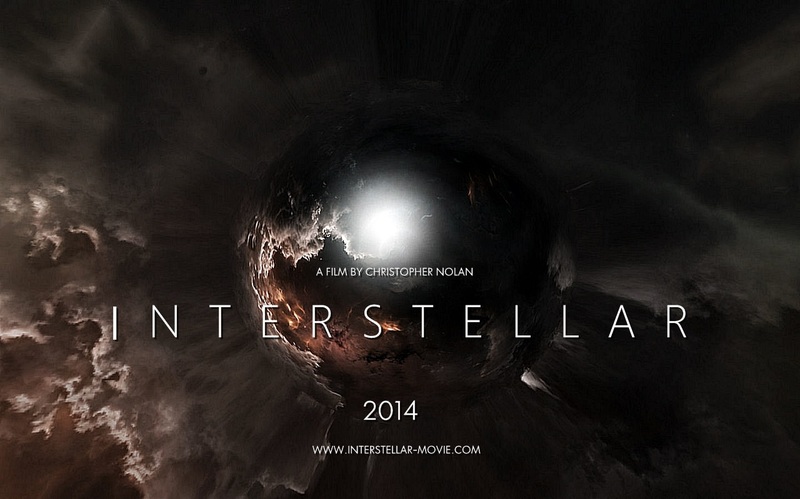 The teaser released at Christmas was merely that – a taste of Nolan’s sci-fi vision. It was a barbaric prick-tease of a move, and whipped the internet into a right good frenzy, despite showing little and promising a lot. This trailer gives a much firmer impression of what to expect. Matthew McConaughey (Reign of Fire, Time To Kill) plays Cooper, a former engineer who is struggling to look after his farmer family. The near future world is plagued with the excesses of the present, with food and resources at an all time low. He meets perennial Nolan mentor-figure, Michael Caine (Bridge Too Far, Get Carter) who introduces the notion that we can forget all our worries on this botched planet, and start anew on another. The discovery of a nearby worm-hole provides a lifeline to another, unknown world. Cooper obviously is the only man capable of building and piloting a ship through such a phenomena. So the grass may literally be greener on the other side. Or it might all go terribly wrong. Either way, I can’t wait to see it. Personally, I preferred The Prestige to Inception; however both films successfully mixed light science fiction elements into a real world environment. While Interstellar will literally take us on an interstellar journey, it seems that this ideology hasn’t been lost. It allows Nolan to make a clever, cerebral, film that is enjoyed by both the Big Bang nerds and the unwashed masses alike. You know he’ll have made it when it gets parodied by South Park. Like Nolan, McConaughey is also riding a huge wave of success with a 2013 Oscar winning performance in Dallas Buyers Club. 2012 was equally fruitful, with huge roles in Mud and Magic Mike. Joining the Nolan gravy train can only elevate his stock to astronomical levels. This would also herald a successful to the science fiction glory since his appearance alongside Jodie Foster (Silence of the Lambs, Taxi Driver) in the imagining of Carl Sagan’s Contact in 1997. Joining McConaughey will be Anne Hathaway, Jessica Chastain, Casey Affleck and John Lithgow. Interstellar‘s incredible visuals, strong characters, message about environmentalism, and Michael Caine will all hit our screens on November the 5th 2014. This entry was posted in News, Trailers and tagged Anne Hathaway, Christopher Nolan, Interstellar, Interstellar 2014, Matthew McConaughey. Bookmark the permalink.